Avoid the After Bite! 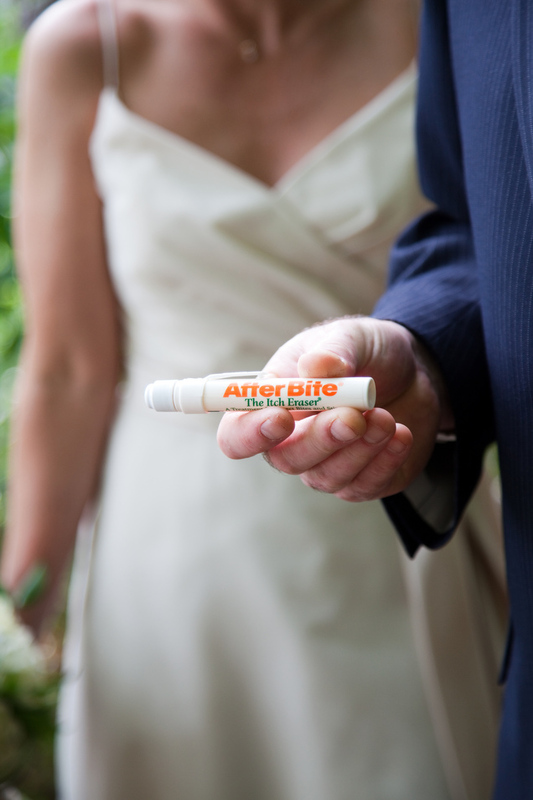 If you are coming up for an elopement and you want to head into some more wooded spots for photos, you may want to consider spritzing with some all natural bug spray (as to not discolor your dress or make spots on your suit). Black fly season is usually June and July and depending on if you are in the woods or on top of a mountain with a breeze you may be glad you brought the bug spray. You can pick up locally made DEET FREE spray at Fields of Ambrosia in North Conway Village or order online in advance. Consider avoiding excessive hair spray or perfume which will also attract some bugs. NH based Badger Balm makes an anti-bug balm, spray, or stick. You can pick this up at Zebs General Store in North Conway Village. With an organic all natural bug oil like Eco Blends Buzz Off, you can dab around ankles or on her like perfume. It actually smells really nice and since it’s all natural, I wear it all the time in the summer. There are plenty of places to go for great photos that are relatively bug free, and if we get a good breeze on any given day, it’s not much of an issue.